With a new iPhone comes new never seen before features. Apple says that "iOS 8 is the biggest iOS release ever". This is great but once you have the phone in your hands how does these new features translate to benefiting your life. 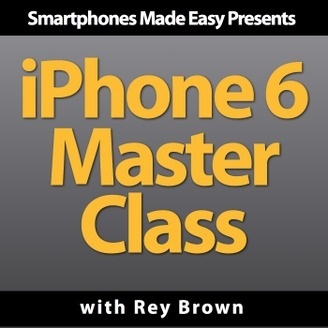 iPhone 6 Master Class is an online class presented by Rey Brown of Smartphones Made Easy. This podcast is packed with tips, tricks, hidden features, demonstrations, app walk-throughs, and much more. Tune in every Tuesday and Friday. 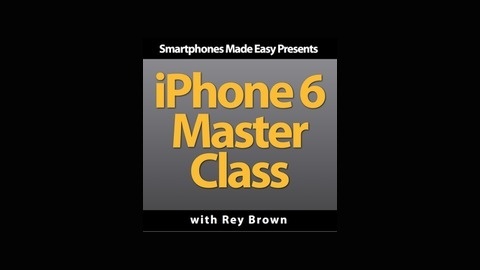 iPhone6masterclass.com. Featured Song Dangerous (feat. Joywave) - Dangerous (feat. Joywave) - Single (This sample was provided courtesy of iTunes) Backing up your pics... It's the holidays, I'm sure more pics are taken during November and December than all other months combined. Let's cherish these memories forever by making sure we disaster proof our pictures. Below is a three point check to back up all pics. iCloud: within iCloud is Photo Stream and then iCloud Photo Library. iCloud P.L backs up your photos to iCloud.com Download Dropbox Carousel; it's another cloud storage system just incase something goes wrong with iCloud Store them on an external hard drive. Sync your phone your computer and save the pics. Then back up the pic on an external hard drive. Now your precious pics are backed up three different ways!